I have been asked a number of times already this week, if I think it will be any good for Cod this weekend, especially as we have fairly stiff North Easterly winds. Well despite the almost calm conditions on the beach, I am pretty certain that there will be a few Cod caught. 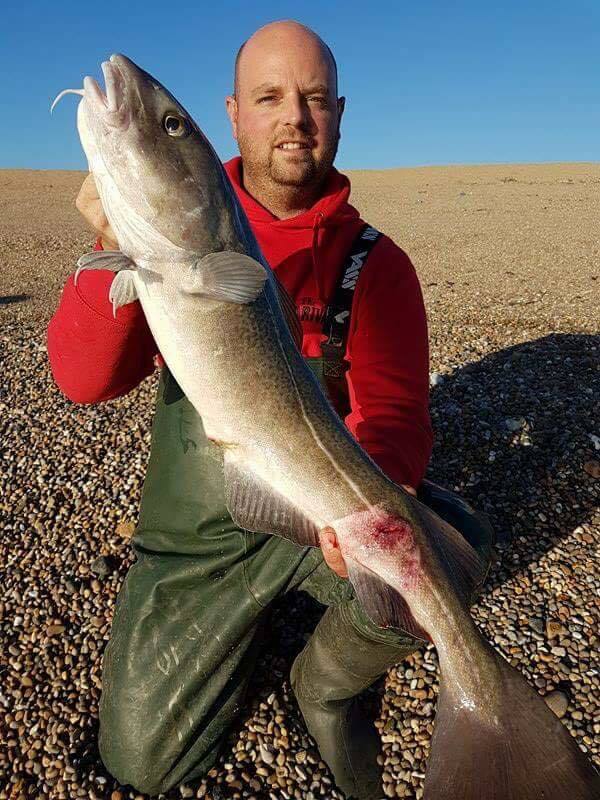 Chris Buxton had a couple from the Abbotsbury end of Chesil, with the best going over 10lb. 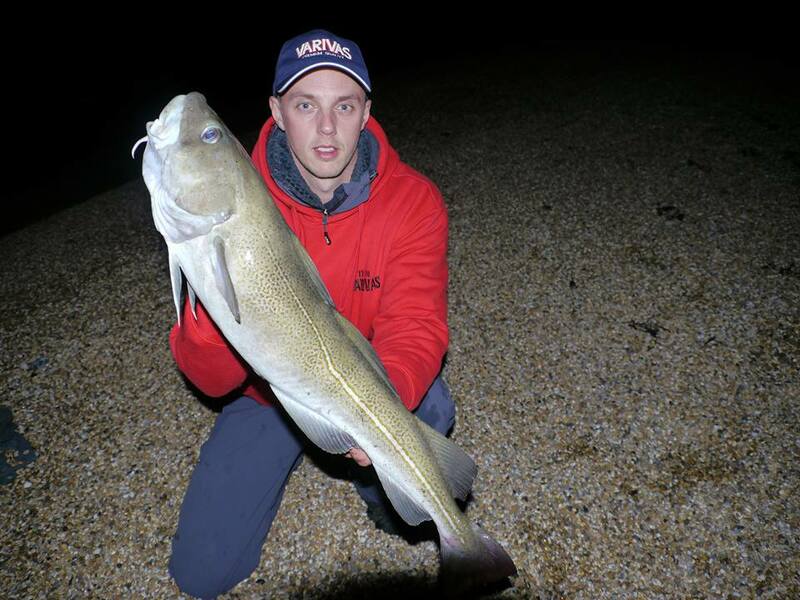 Carl McCormack also managed a nice Codling of over 6lb on a size 4 Varivas Saltwater Champion hook. It is not just Cod that have been landed. Carl had a lovely Sole and a PB Dab. Whilst his mate Gary Mitchell had a 2lb Haddock that almost pulled his rod off his tripod. It is good to see that the summer species are still around. With reports of Smoothound Bream and Gurnard, still being caught. The bad news is that all those fish were caught at range. The fairly calm and clear conditions are pushing the fish away from the shore. The good news is that because the wind will be from the east or north east for most of the weekend, you should be able to get good distance on your casts. Chesil Beach: 1m swell with lightly coloured water. Chesil Beach forecast: Not much has changed in the forecast from Monday. 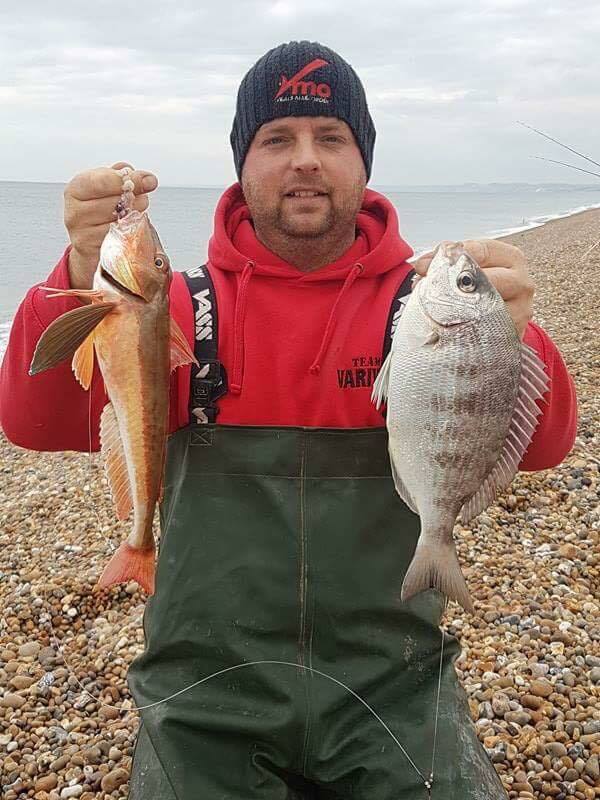 Strong easterly winds make for great casting on Chesil, as the wind will be behind you allowing long range casts. Get your casts high and they will carry a good distance. 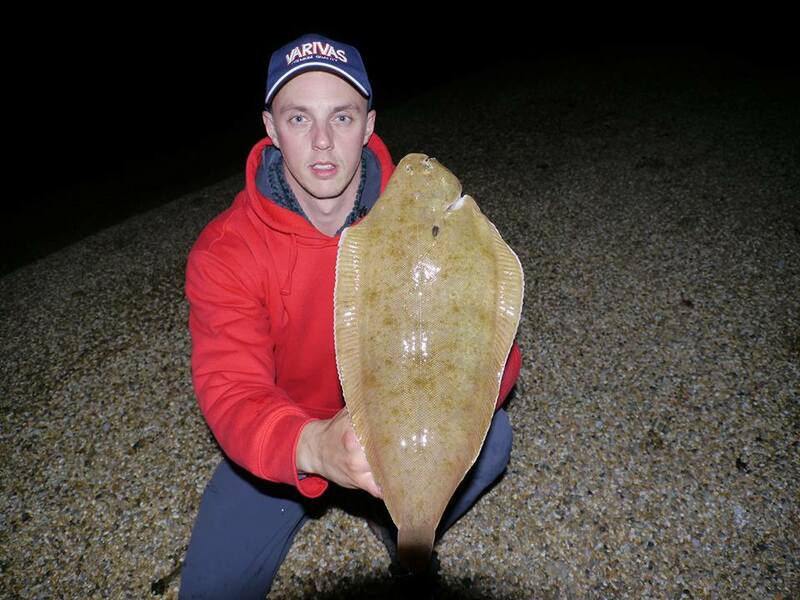 Use this to your advantage to target Plaice, Sole, Rays and Cod that should all be out there. I think that the PLaice fishing will be very good this week. Add Bream, Garfish and Mackerel in to the mix and it should produce some very interesting sessions. Best baits will be Ragworm, Lugworm and Squid. I will be using single hook rigs to try and get as much distance as I can. Portland: Now that we have hit October, we are into one of the best months for fishing on Portland. The Wrasse are all looking to feed up for the winter, so they are pretty easy to catch. There are some big fish to be had, but getting through the smaller ones first will be the hard part. This is when soft plastic paddle tails and fiiish Black Minnows come into there own. The smaller Wrasse normally ignore them, but the larger specimens attack them aggressively. This is the month that I normally start to catch consistent numbers of Bass from the rocky shore marks. Pollock can also be caught in good numbers on lures, if the water remains clear. Portland Harbour: There seems to be a lot less Mullet in Portland Harbour his week. They may be shoaled up in an area I haven’t noticed, or they may be starting to head out to the open water for winter. There are still plenty of Garfish, Wrassse and Pollock around, especially on the areas that have reefs such as Sandsfoot Castle. With Easterly winds forecast for most of this week the harbour won’t be the most comfortable mark to fish. If you can find some Bass that will work the surf as it builds you will have some fun. However there are better marks for them. Weymouth Bay: Preston Beach is my top tip for Bass this week. The surf will build and the Bass will move in to feed close to the shoreline. You only need to cast to the third breaker to find the Bass that will be looking for disturbed food. It is most likely you will need to hold your rod to stop the waves pounding your line into the seabed. The weed could be a problem, especially towards the end of the week. Worm and live peeler crab baits will work best. Fishing Tails > All Articles > Reports > Will there be Cod this weekend? One Response to "Will there be Cod this weekend?" 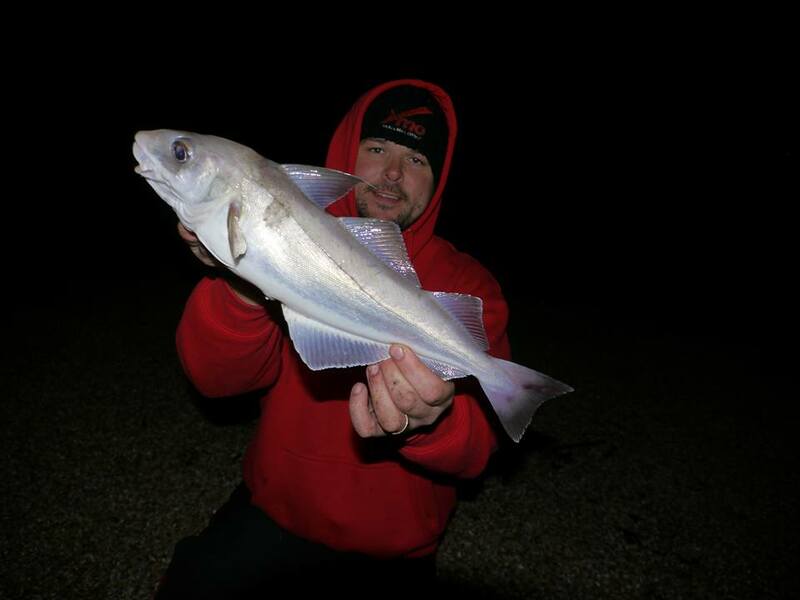 Had my annual pilgrimage to Freshwater Beach this weekend and had far too many dogfish and eels but I did manage a 3lb Codling on Saturday night on peeler and a small eyed ray on Sunday night which took a squid bait.